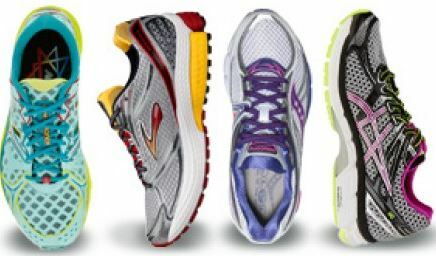 How did you choose your running shoes? A little background on me, I’ve been running consistently for the past three months. I want to get a new pair of shoes now that I know I will keep on running and not quit on myself. I’m 5’10 and weigh 254. I literally feel like I’m running for my life. So did you get fitted at a running store, friend’s recommendations, a review in Runners World? I look at it as an investment in myself so I want to make the right choice. I went about it on my own and chose two shoes that were VERY wrong for me at first. Then, I went to a local sporting goods store and though I didn’t get exactly “fitted,” they did look at my pronation and suggested better arch support. I went with Brooks per their suggestion and have stuck with them for 2 years now. LOVE them. I went to a running store and had them watch me run. They suggested Brooks for me, especially since I am a bigger runner (apparently they are WELL cushioned) and I’ve never looked back. Love my Brooks! The right shoe sure makes all the difference in your run! I highly suggest going to a running store to get fitted. They can help guide you in the right direction for the best shoe for you. Big plus is that most running stores will allow you to exchange the shoe if its not right after a couple runs. Getting fitted for proper shoes makes a huge difference! I had ankle pain was running in brooks but they were neutral. Once I got fitted, they watched me run, talked with me about speed & distance I wanted to accomplish. They recommended a stability shoe I bought Asics. No more ankle pain! And they had me go up 1/2 a size also. It was a great learning experience! Most people will go to a running store to get properly fitted if they can. The shoes aren’t the cheapest. But its worth it. Asics fit me best. I have a very high arch so they work well. new balance is pretty good as well. I know sketches is coming out with running shoes. Heck the man that won the Boston marathon this year was wearing s ketchers..
Asics. But I would still get a gait Anaylais done. My two kids and me all wear something different. I wear what the running store tells me to. They video tape you running, then based on how your foot hits the ground will depend on the shoe. I’ve gotten my best shoes there. Brooks fit me best. I have a wide front foot and a high foot and they squish my feet the least. I also like the 30 day no questions asked guarantee. This entry was posted in Running Shoes. Bookmark the permalink. Is Couch to 5K a great way to get you started on running?